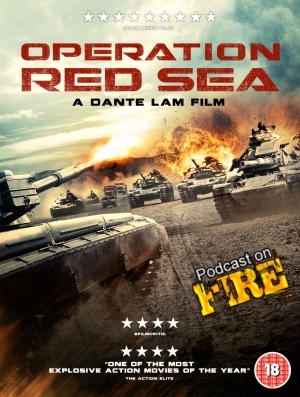 Dante Lam goes to China or rather Dante Lam goes to Morocco and proceeds to pummel us for over 2 hours with guns, grenades and gore in the massive and massively popular Operation Red Sea from 2018. Also, Q & A with Kenny B! Operation Red Sea is out now in the UK on dvd and blu ray and digital from Cine Asia. Thank you to Mike at The Warrior Agency and Cine Asia for providing the screener for review. Contact the show via email at podcastonfire at googlemail.com, on our Facebook page and Facebook group or Twitter (@podcastonfire, @sogoodreviews) and SUBSCRIBE to our iTunes feed. Music courtesy of Brian Kirby whose awesome clothing line you can find at shelflifeclothing.com. 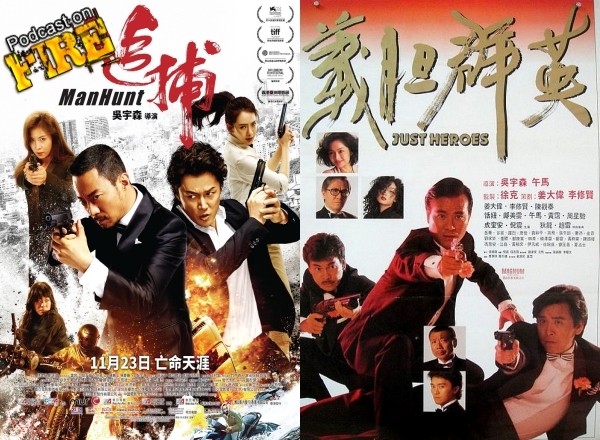 John Woo returns to the genre that made his name with 2017’s Manhunt and in 1989, Woo and friends got together to help out a master and mentor and the result was Just Heroes. With Kenny B and Trapped In The Screening Room’s Tyler Miller. 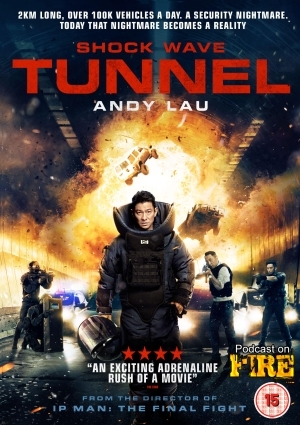 The versatile, productive and often always interesting Herman Yau can work any genre and for 2017’s Shock Wave, he gives us Andy Lau’s bomb disposal officer vs Mainland terrorists out for revenge. Kenny B goes solo and also shares some recent viewing- and gaming experiences. Including thoughts on the conclusion of a long anime TV-series. Shock Wave is out now on dvd and digital in the UK from CineAsia. 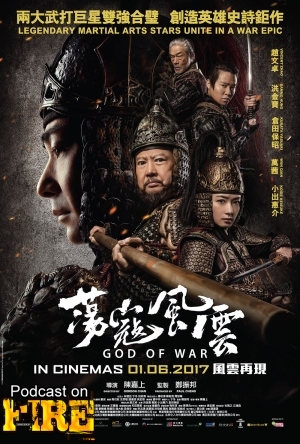 Vincent Zhao and Sammo Hung take on Japanese pirates led by Yasuaki Kurata in Gordon Chan’s Mainland epic God Of War. With Kenny B who also speaks about Police Story on VHS, romantic anime and Donnie Yen’s Kung Fu Jungle. Director Ding Sheng goes for a third collaboration with star Jackie Chan after a period effort/buddy comedy/road movie with a heart in the form of Little Big Soldier and the hostage drama Police Story 2013. 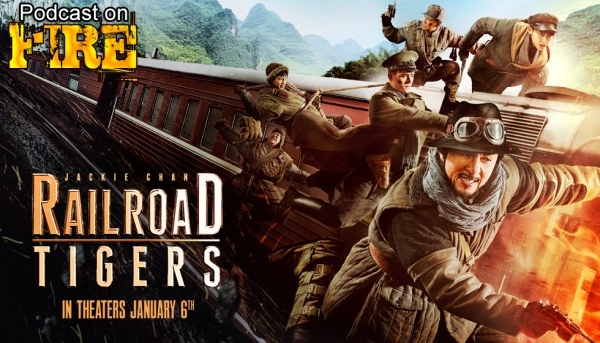 So for heist shenanigans in war times in the form of Railroad Tigers, is the duo going to be 3 for 3? With Kenny B and Phil G of Eastern Film Fans. Thank you to Fetch Publicity and Well Go USA for providing the disc for review. 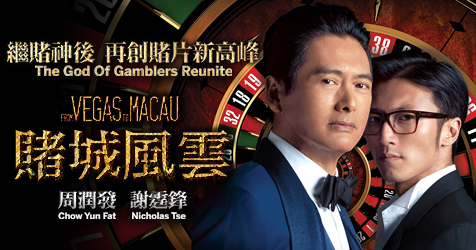 Kenny B and Paul Fox discuss how a Wong Jing gambling movie fares in 2014.